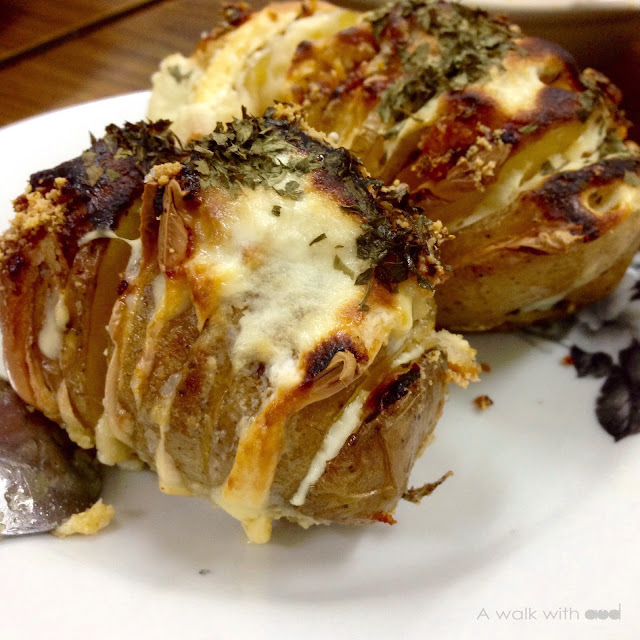 Today let's combine two of my favourite- Cheese and Potato, together and make a dish out of it. 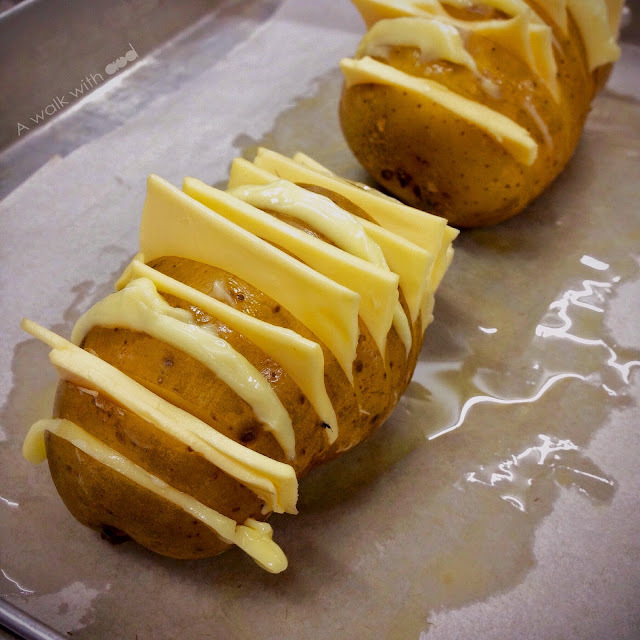 Potato and Cheese can never go wrong, so this time I'm gonna try making the Baked Potato with Cheese and Cream aka Scalloped Hasselback Potatoes. First, wash and scrub the potatoes clean. 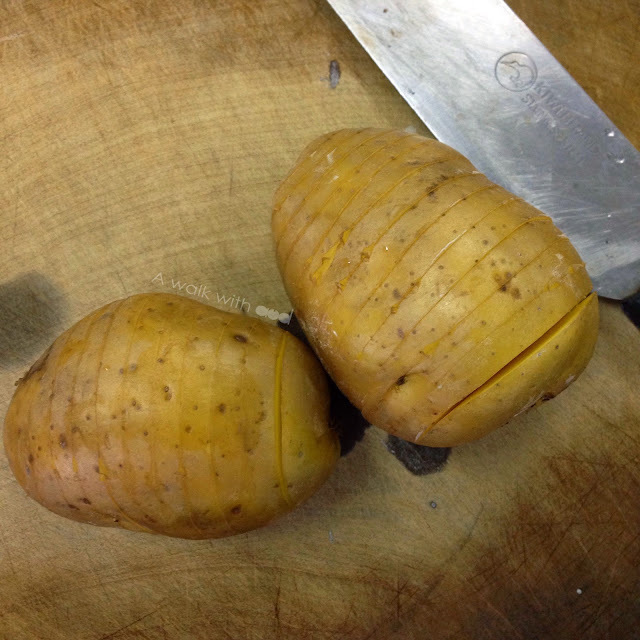 Slice across the potatoes but make sure to stop before reaching the end so that they stay in shape. Once you are done with it, continue slicing butter and Parmesan/ cheddar cheese. Use cold butter for easier slicing. Tip: It helps to put butter in freezer for awhile until cutting it. Next, open the potatoes’ crevices and shove the cheese and butter, alternating between the two. Put the potatoes onto an oiled baking sheet, add salt and pepper for flavoring. You can be quite generous with the salt. I also added finely minced garlic instead of garlic powder. Drizzle some olive oil on top. Send to oven and bake them at 200ºC for 60 minutes. After 45 minutes, drizzle heavy cream and top it with grated/ shredded cheese. I do not have heavy cream, so I used natural yoghurt. Return to oven for another 15 minutes. Tadah! This is what you will get after an hour! (Note: I added parsley leaves 2 minutes before it's done baking). Transfer them to plate, you can serve with sour cream but I prefer to eat it neat like that. Maybe next time, should try it with sour cream. 1. Preheat oven to 200ºC. Scrub potatoes. 2. 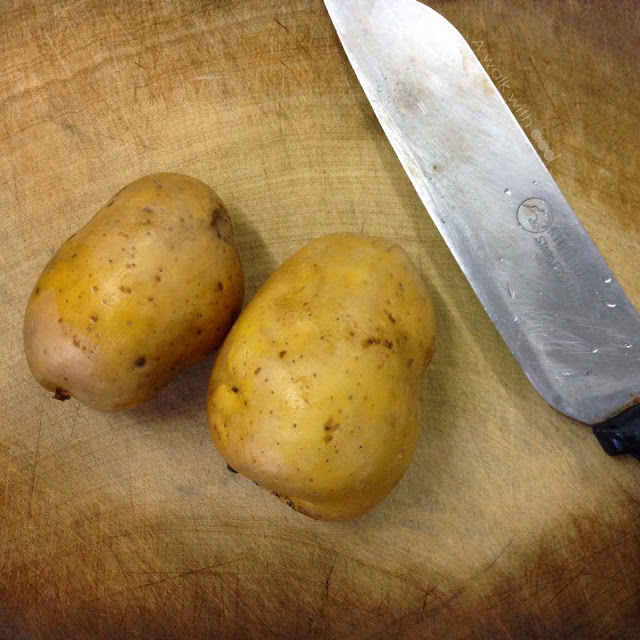 Slice the potatoes with a sharp knife, remember to stop before reaching the bottom. 3. Slice the butter into thin pieces. Alternate the butter and the parmesan, stuffing them in between the slices of the potato. Season the potato with garlic powder and salt. 4. Put the potatoes onto an oiled baking sheet. Drizzle some olive oil on top of the potato. 5. Bake at 200ºC for 45 minutes. 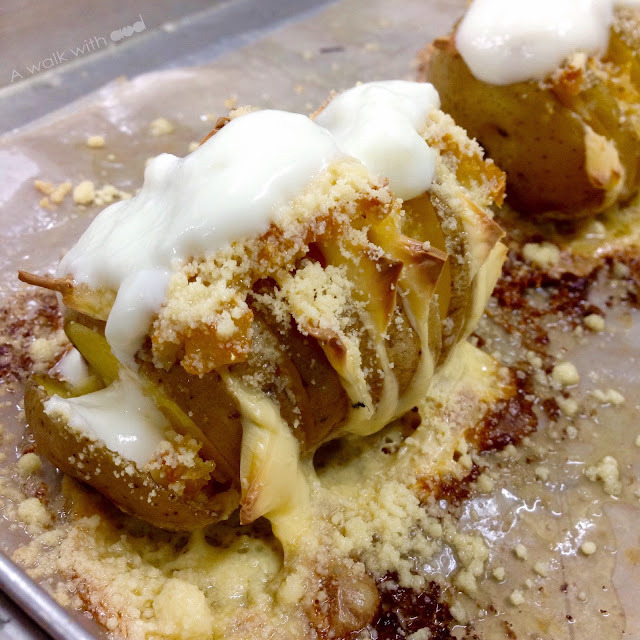 Remove from the oven and drizzle heavy cream over the potatoes. Top with cheddar cheese. 6. Place back in the oven for 10-12 more minutes. Remove and serve! Wow! Looks and sounds good, not to mention easy to do. Will definitely try it since I love potatoes and cheese too. :D Thanks for the recipe! Hehe~ no problem babe! Have fun trying! Its really good! The perfect combo ever! hehe! Have fun with the recipe! No problem Cece! Welcome bk to JB! Try it at home!